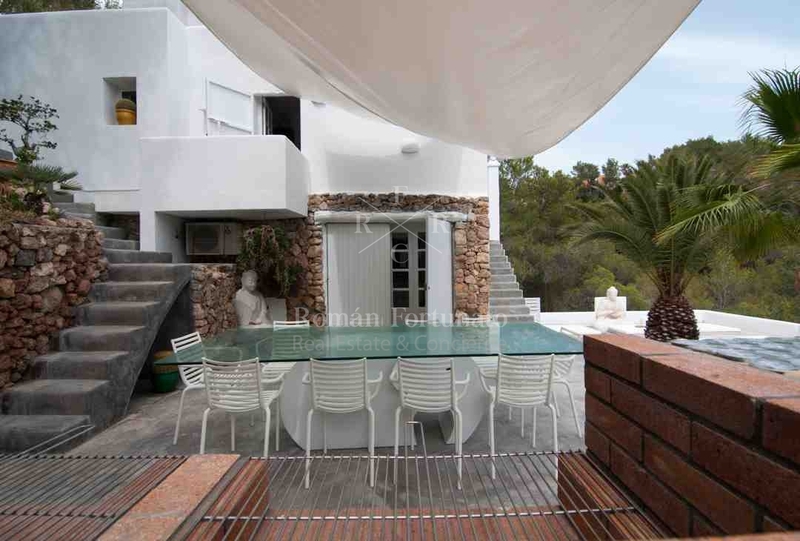 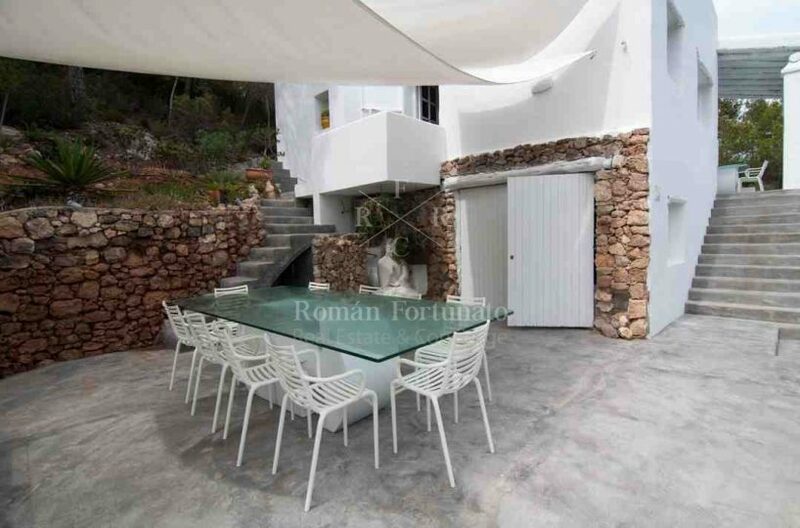 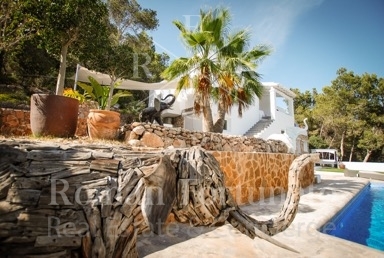 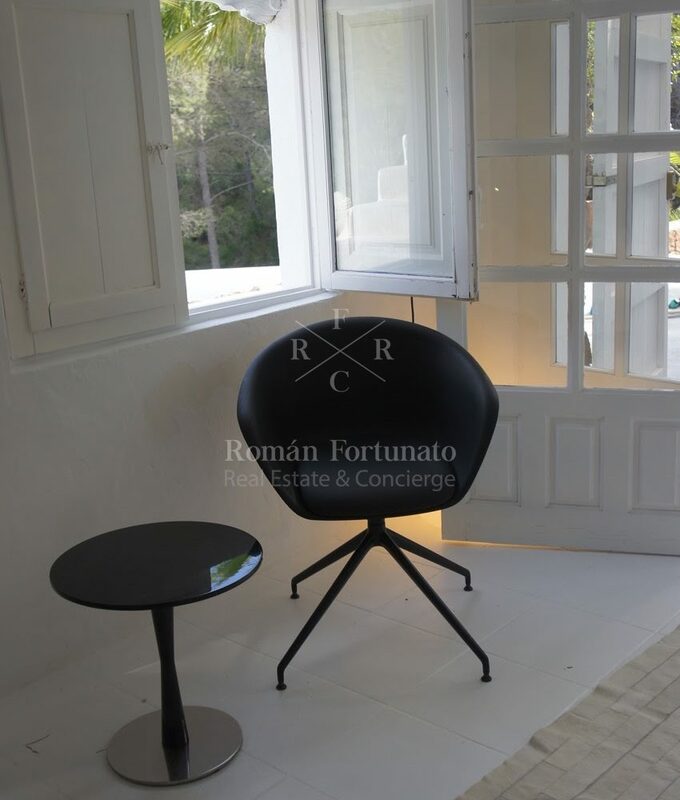 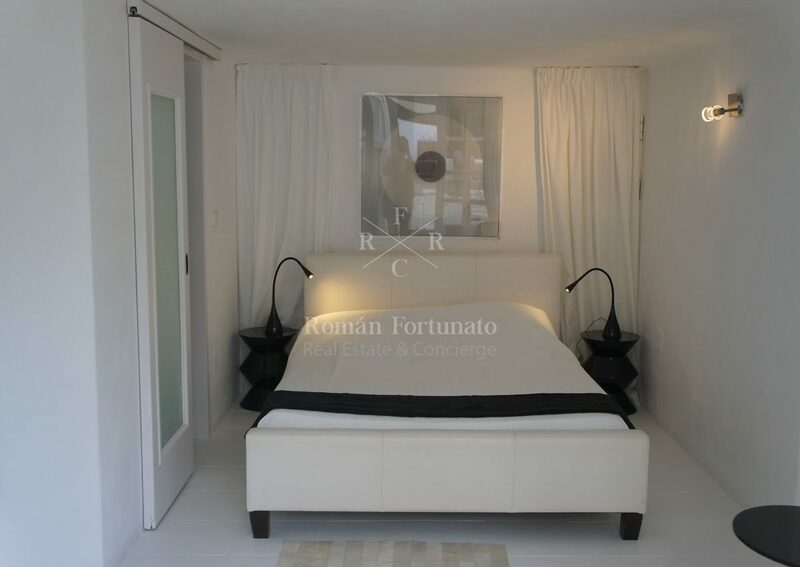 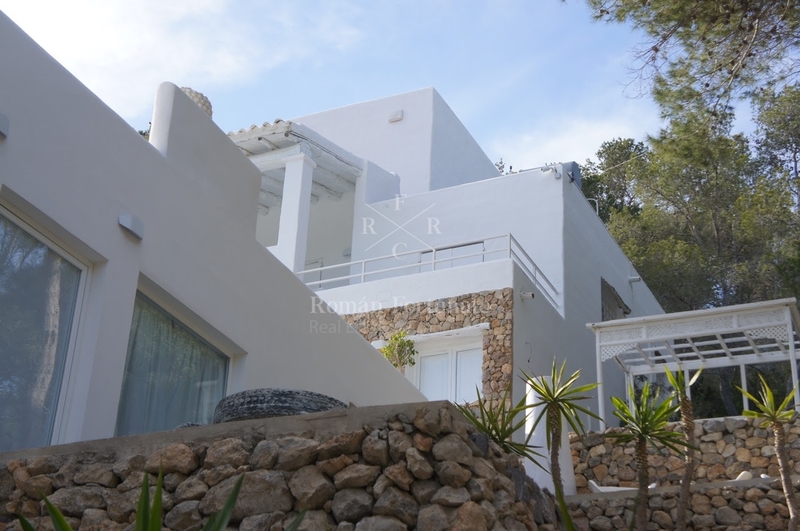 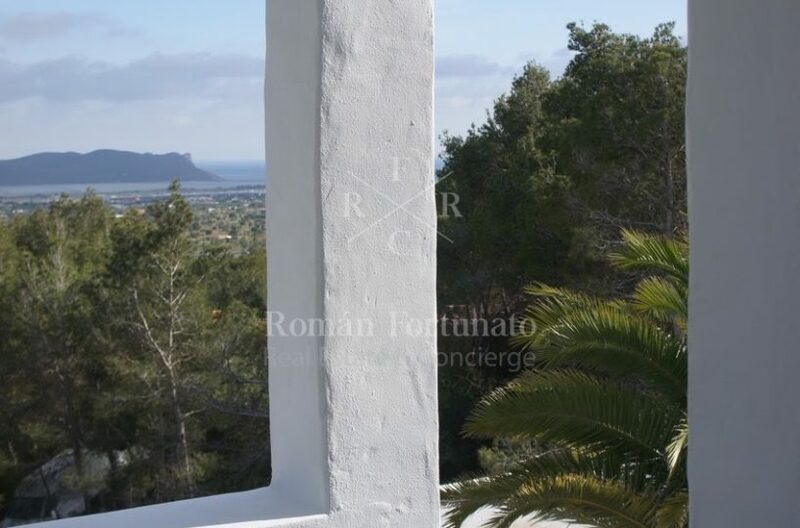 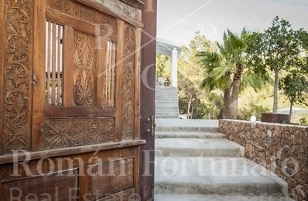 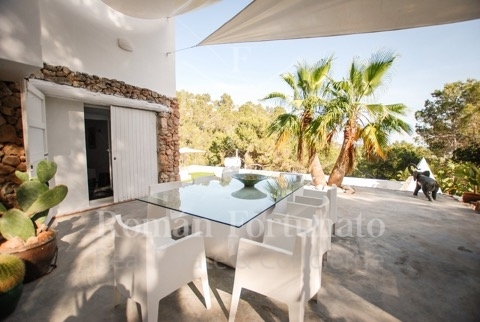 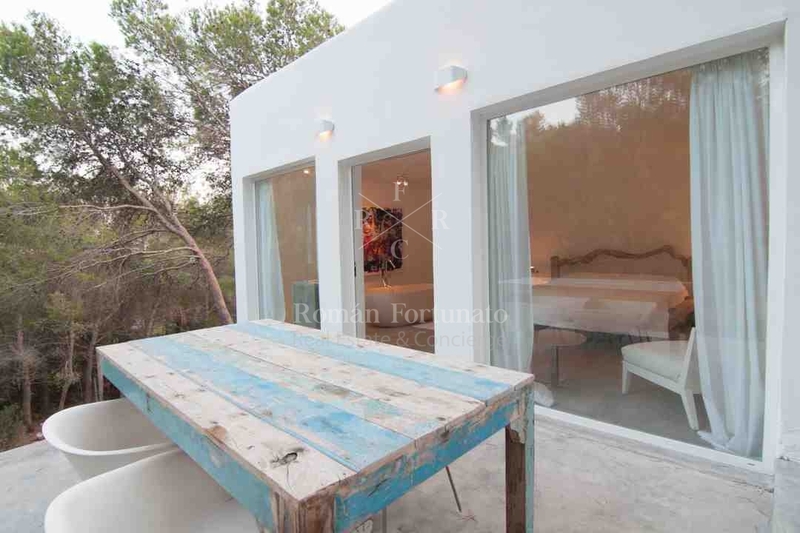 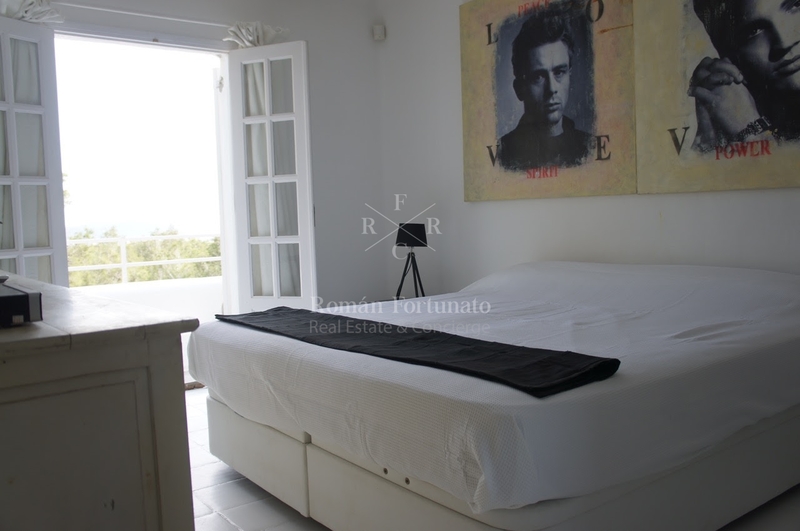 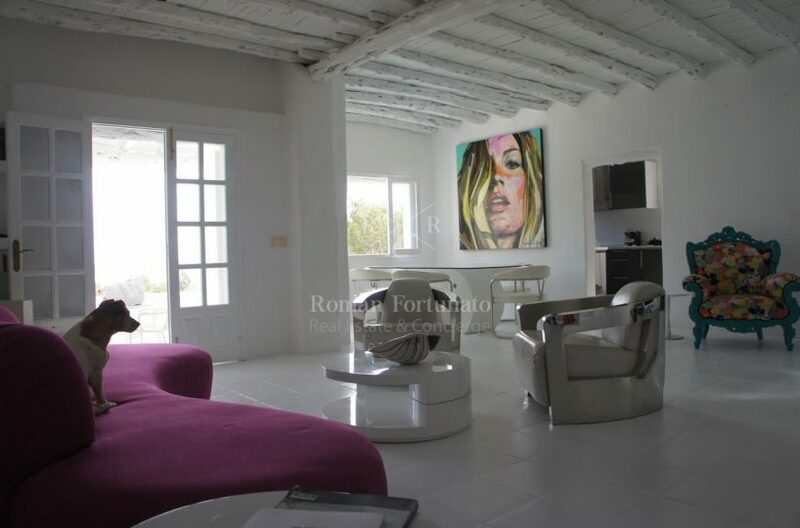 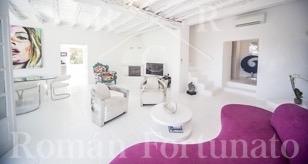 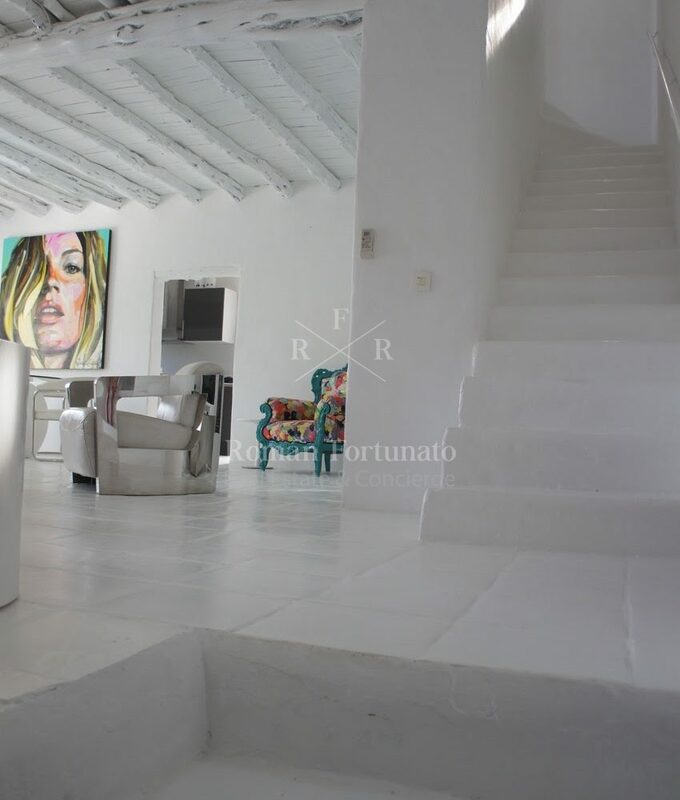 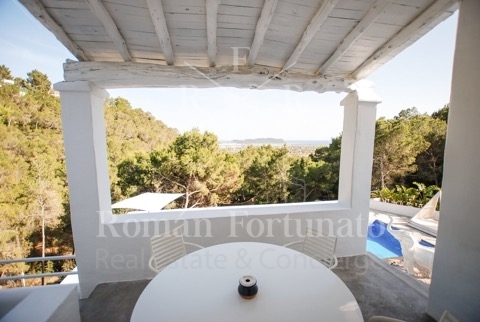 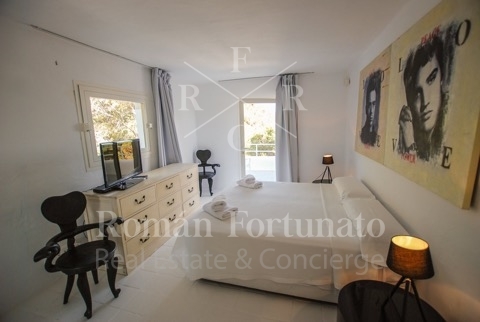 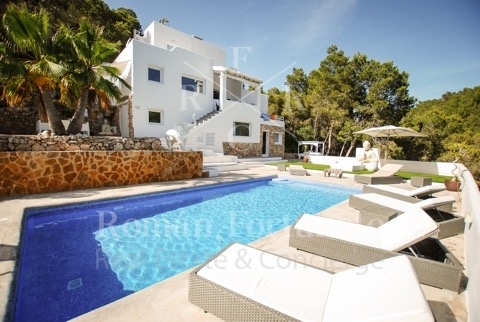 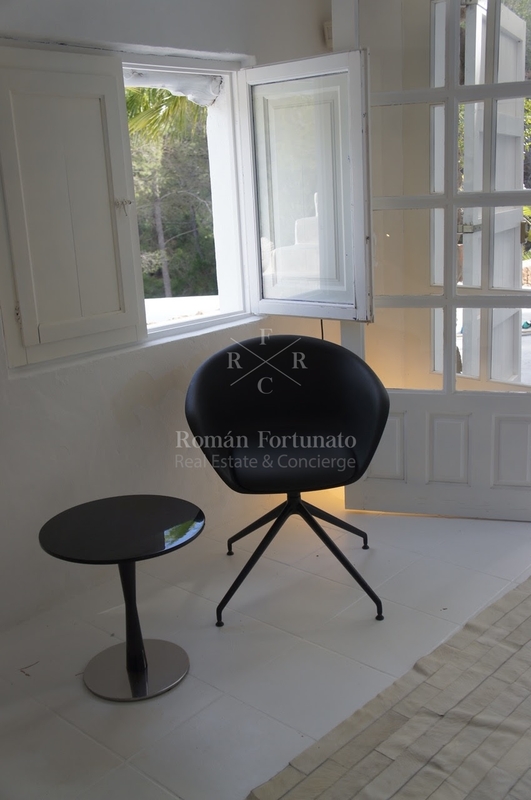 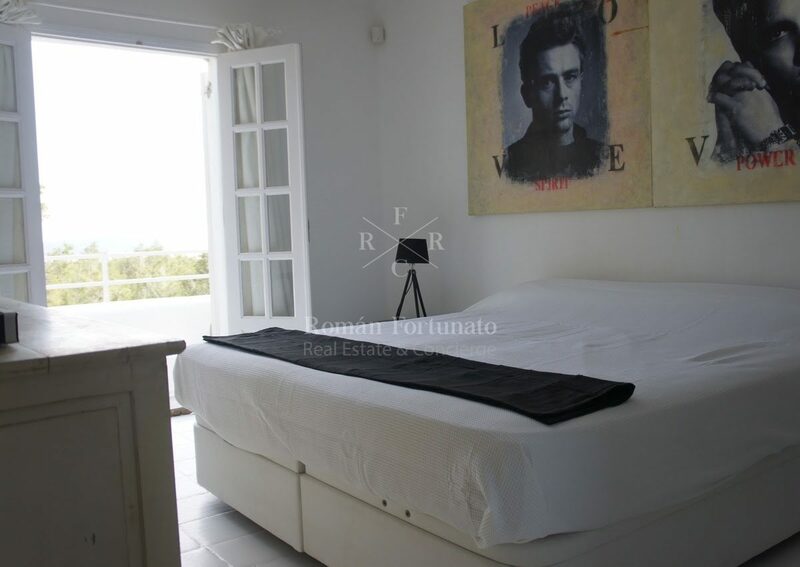 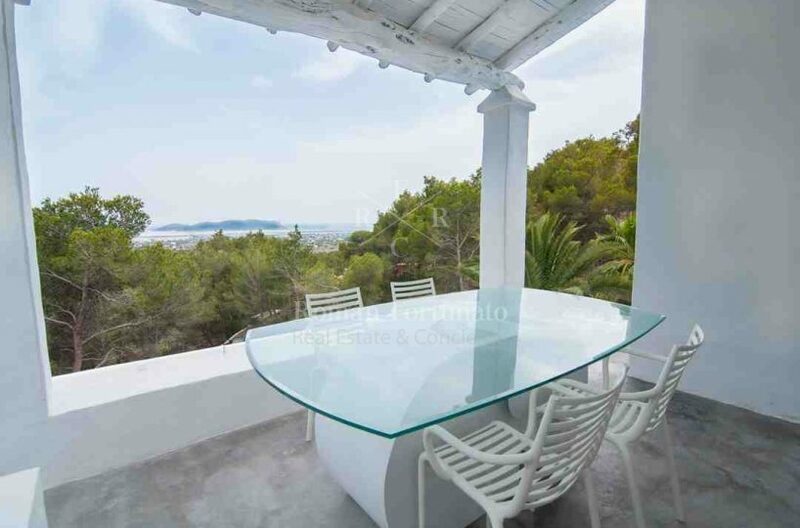 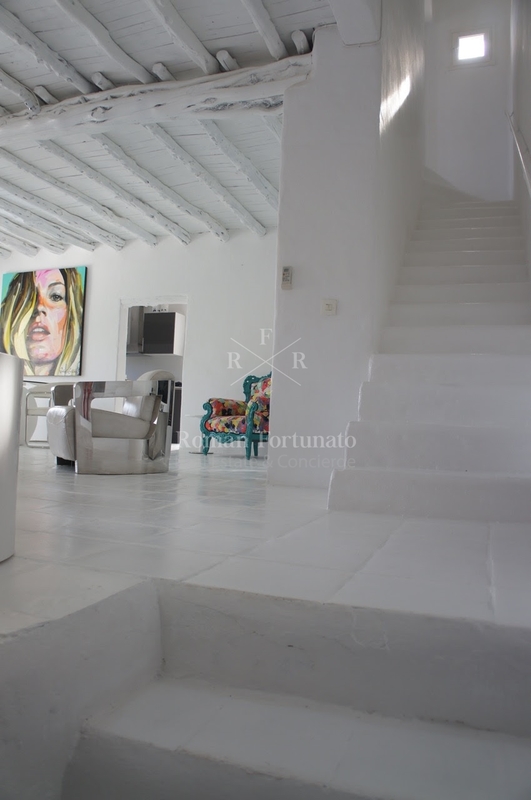 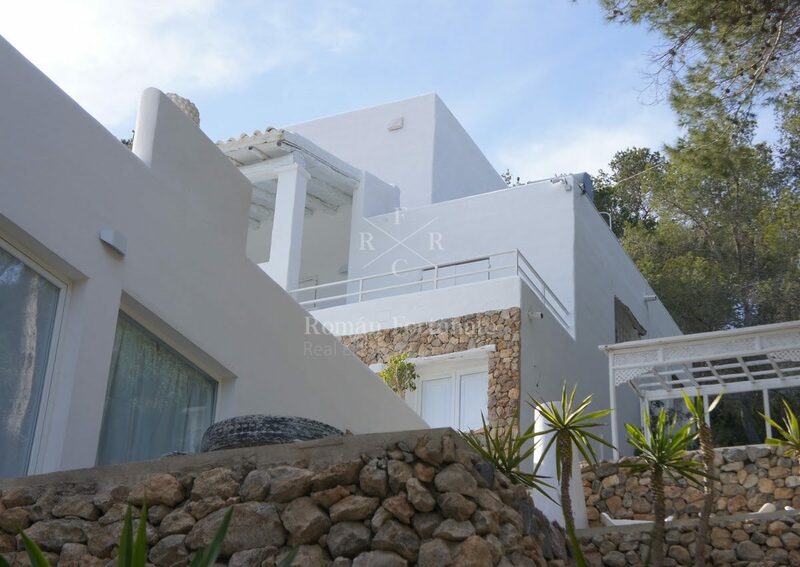 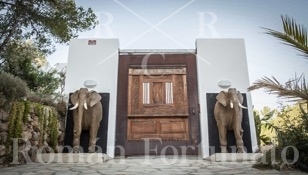 Lovely Villa in the middle of the Ibiza’s gree, situated 3km from Ibiza town. 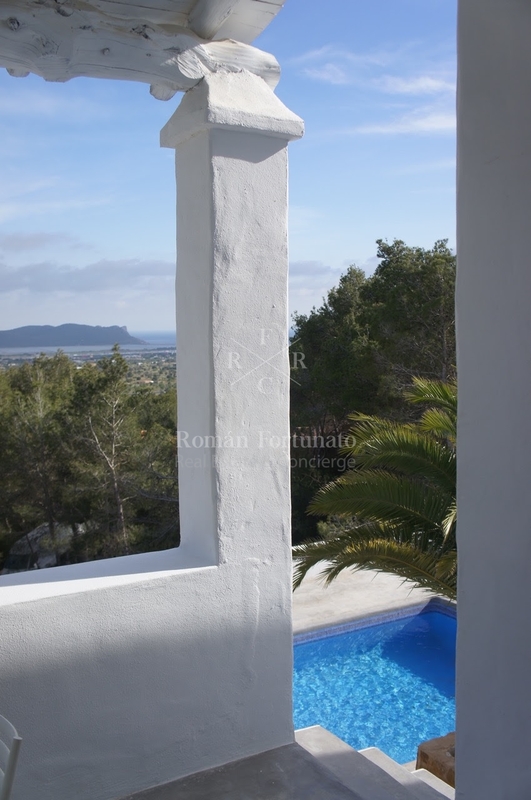 Fantastic view of national Salinas Park and Cap D’es Falcó. 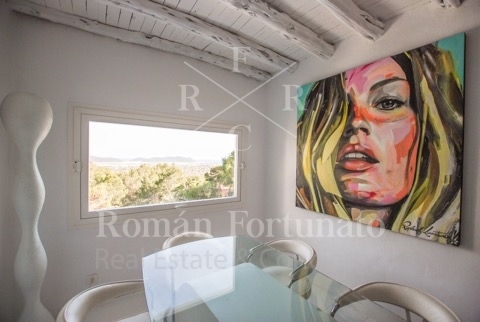 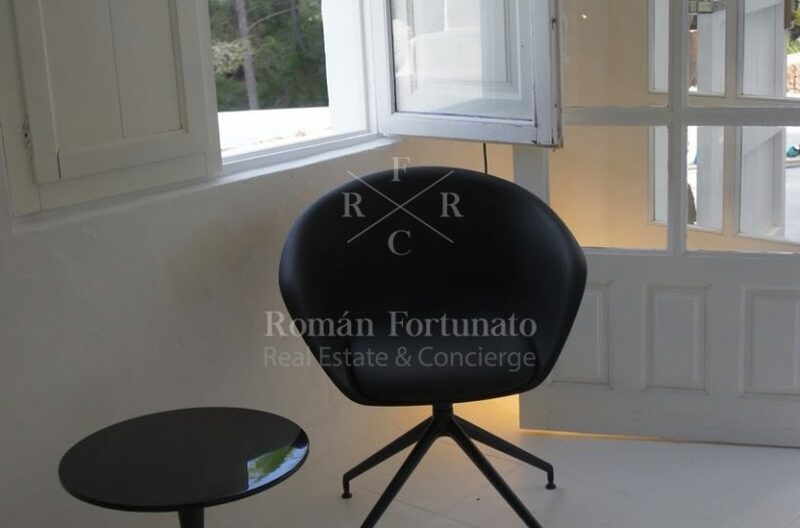 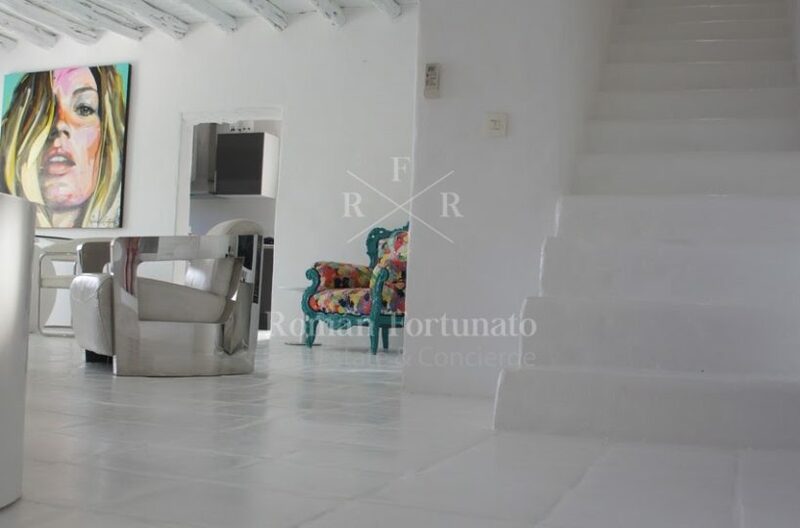 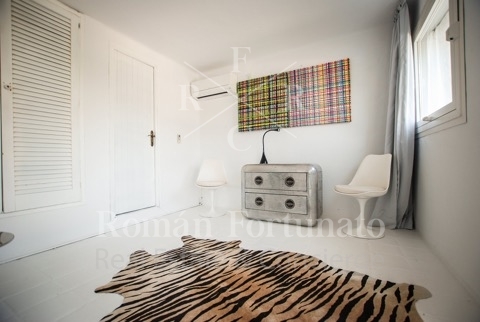 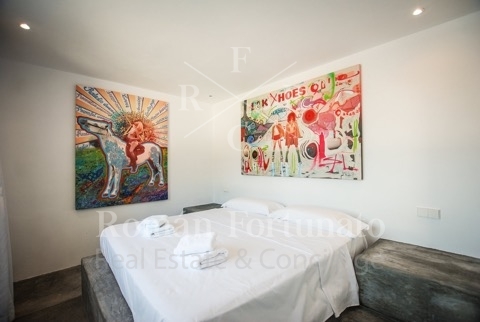 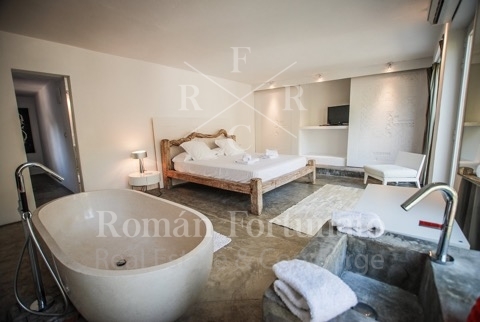 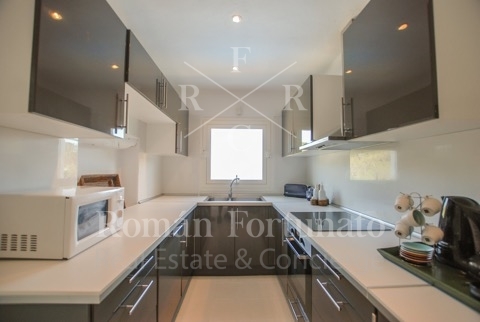 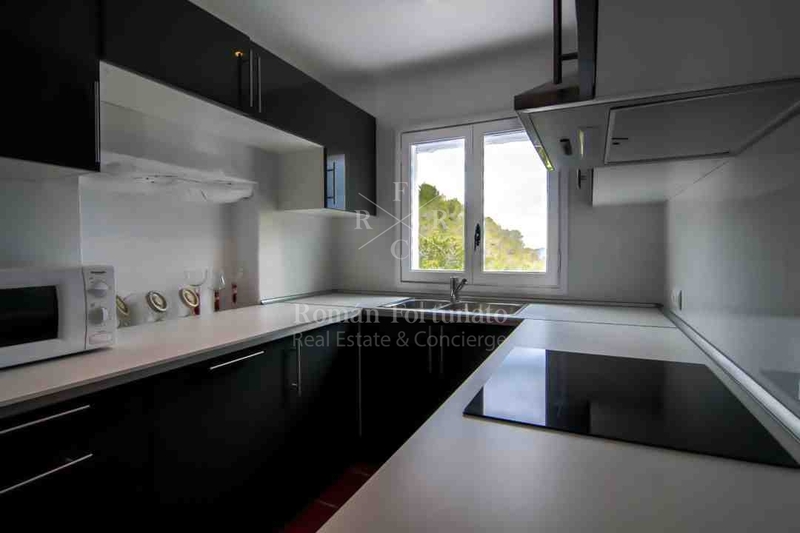 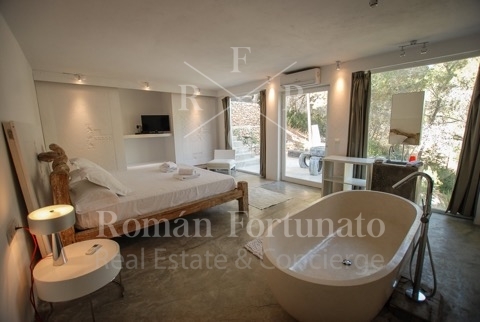 Romantic finca of 3 floor. 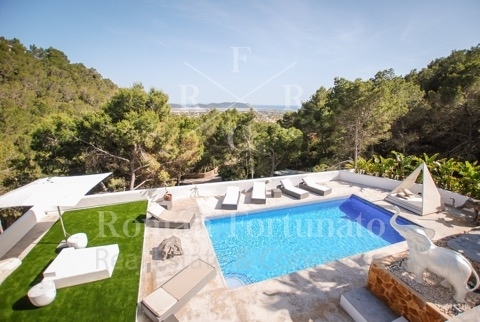 Approximatively 350m2, Ground 5000m2 and it is not overlooked. 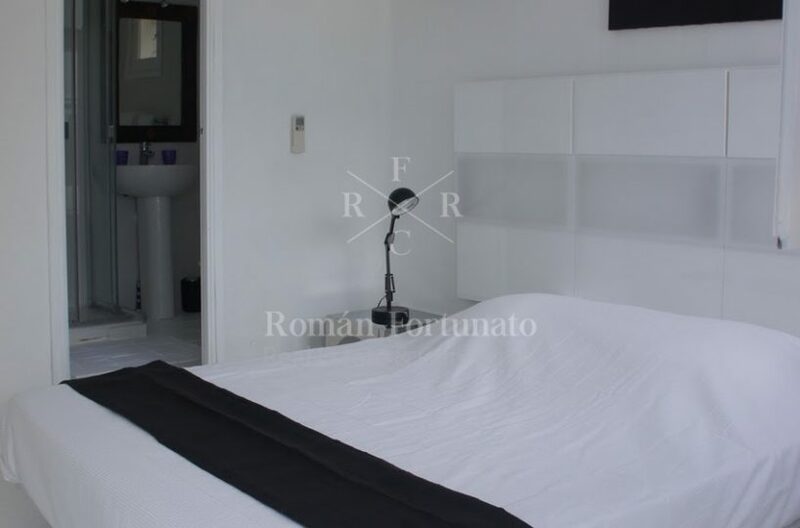 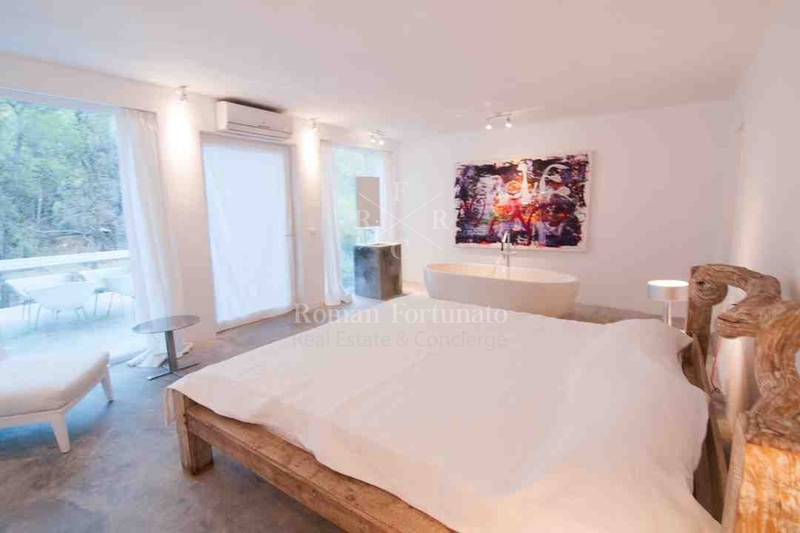 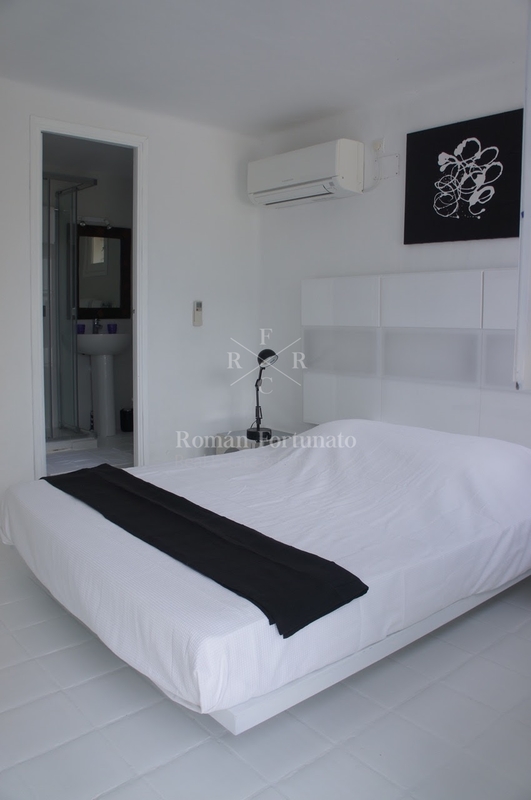 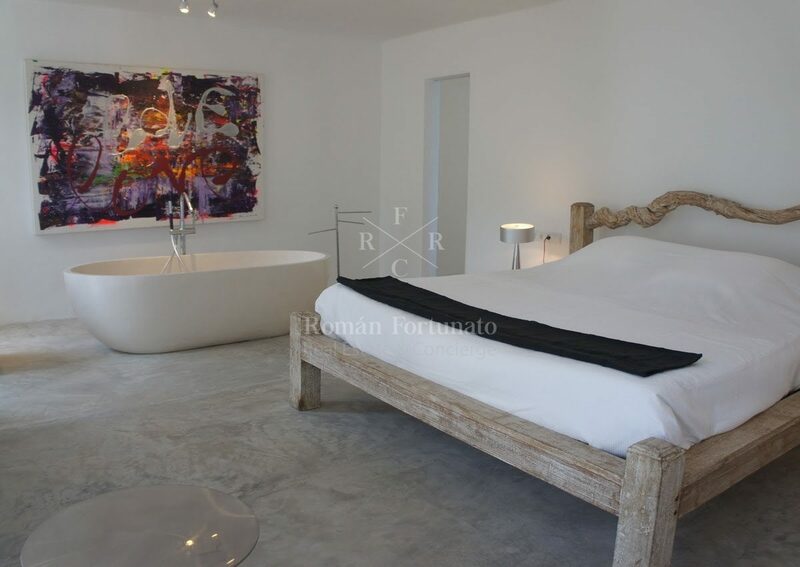 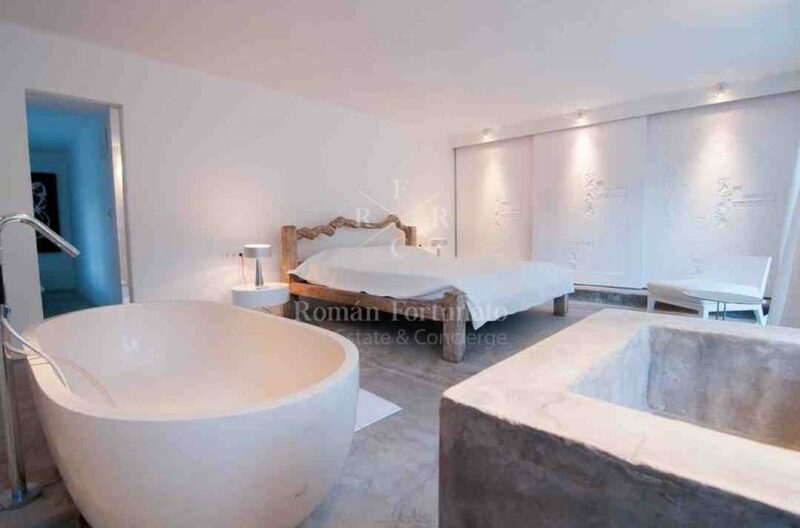 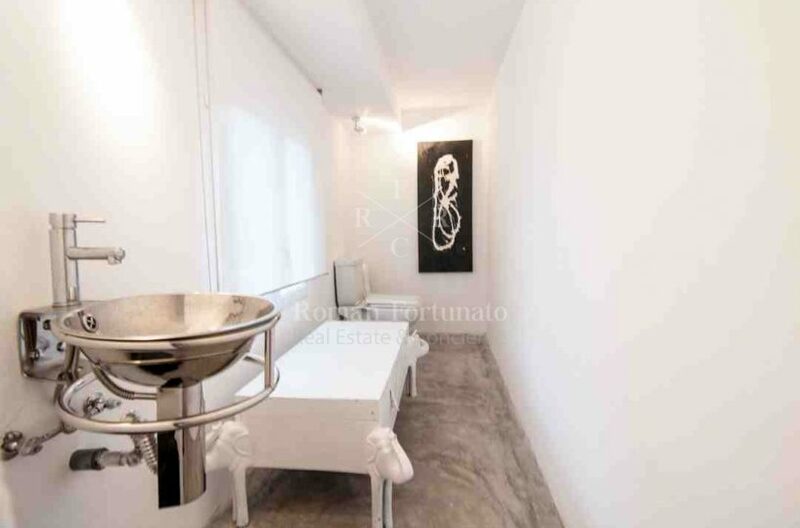 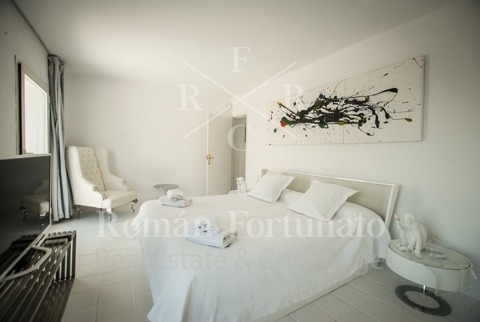 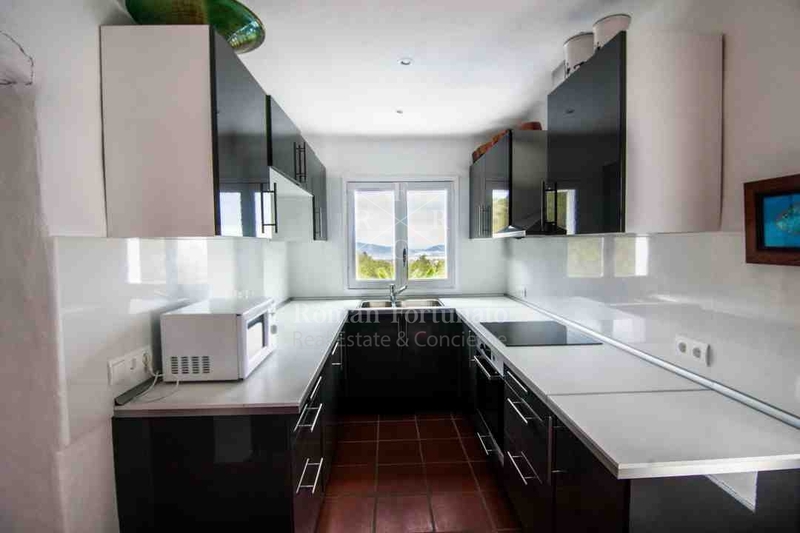 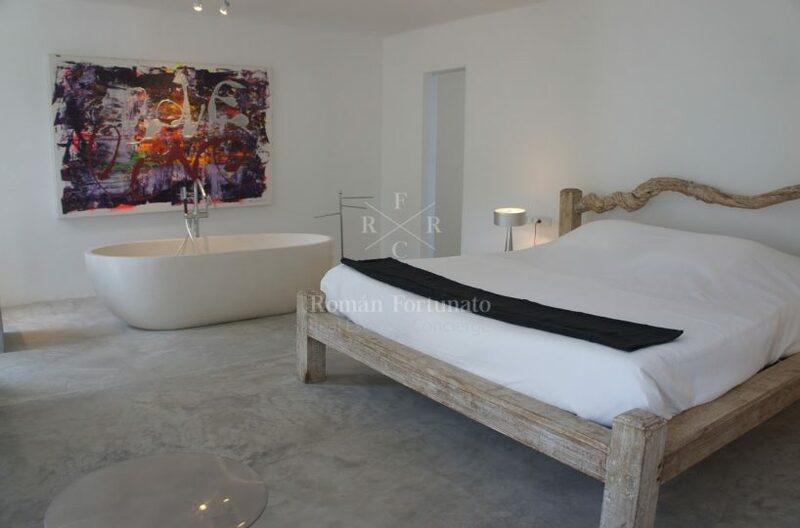 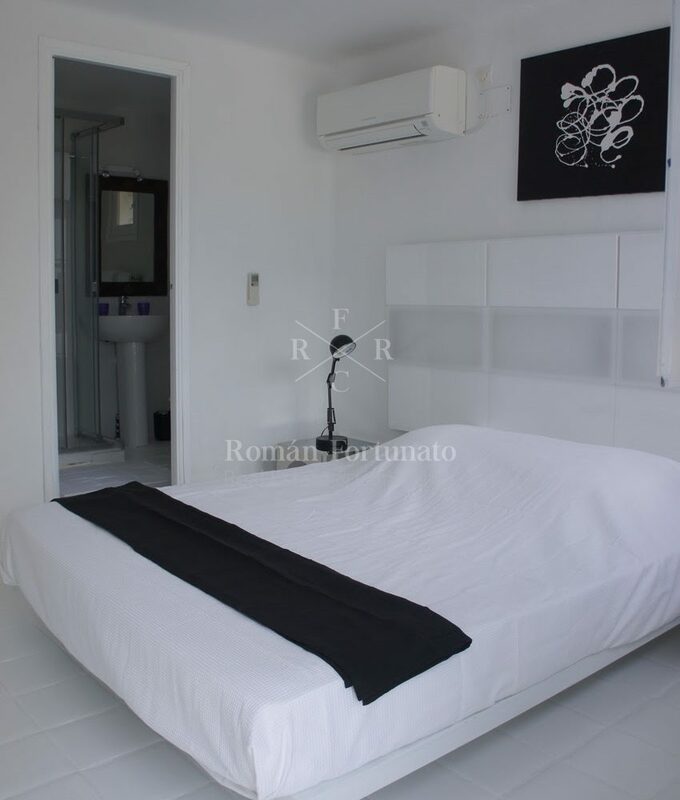 5 bedrooms, all indipendent and with totally privacy betweek each other and 5 bathroms. 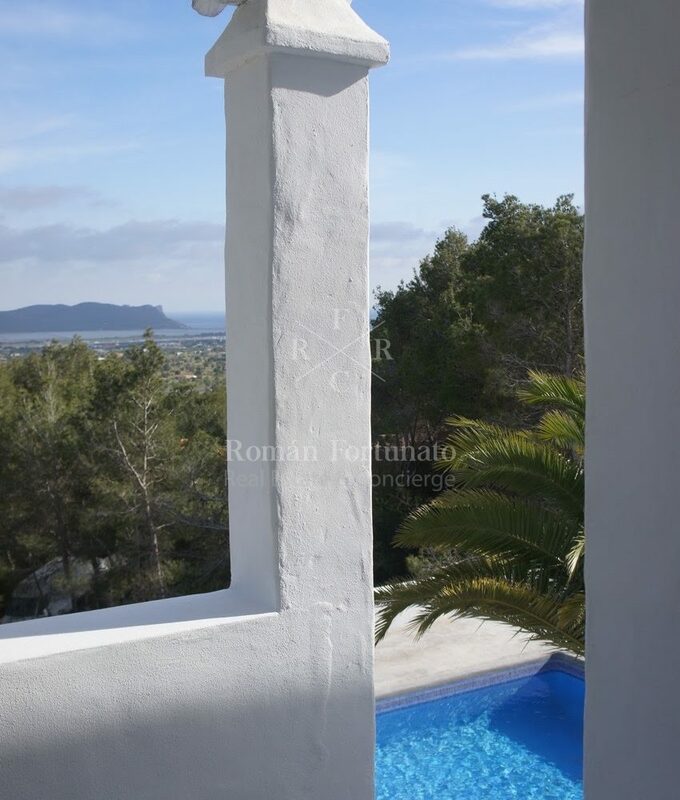 The suite is on the 3rd floor with private terrace with amazing view. 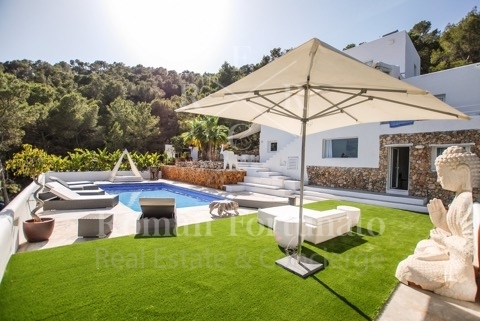 Charming exterior, swimming pool zone in the private green garden. 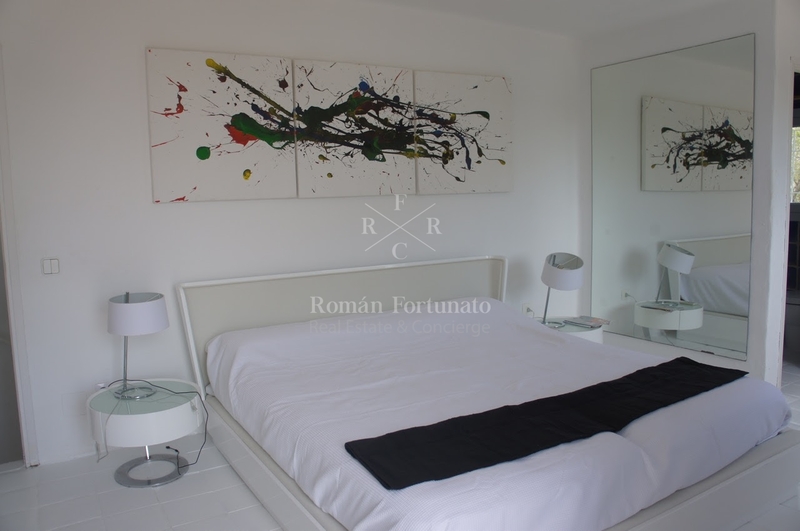 Alarm, Two tv lcd with satellite digital plus and internet wi-fi. 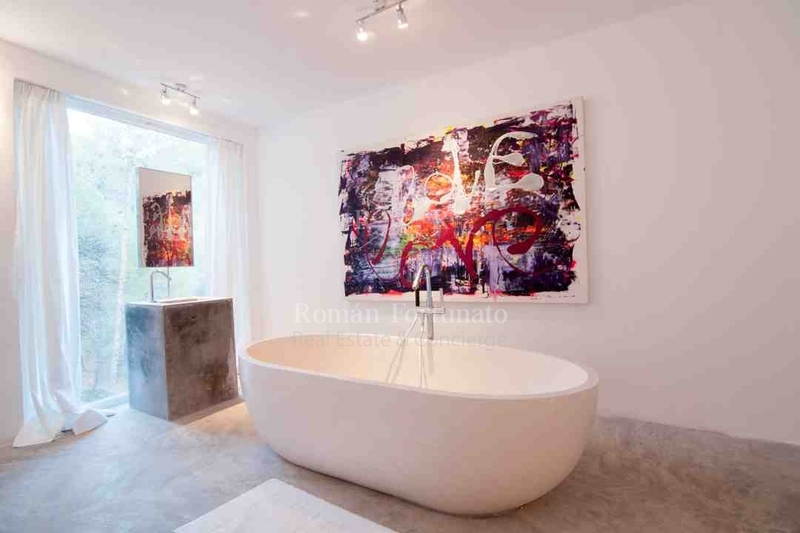 Cleaning service twice a week and maintenance included.